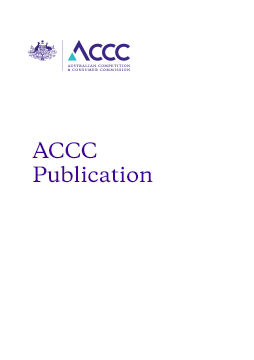 This summary guide explains how the ACCC will exercise its dispute resolution powers under Part IIIA of the Act. This guide was published prior to the commencement of legislative amendments to Part IIIA which took effect in 2006 and 2010. It should therefore be read in conjunction with Part IIIA as it is currently enacted, and parties contemplating notifying an access dispute should contact the ACCC in the first instance.